Start your Steam client, and select ARK: Survival Evolved from your game library. Select the mods you want to use in your game, and subscribe to them. Then start ARK in single player mode, and it will begin downloading the mods in the background. Downloading all the mods may take some time. 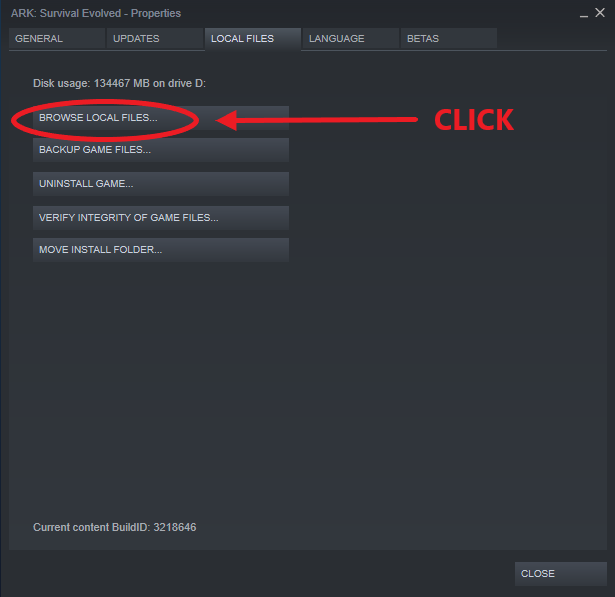 In the Steam library, rightclick on ARK: Survival Evolved, and then click on "properties" at the bottom of the popup menu. In the window that appears, click on the "Local Files" tab along the top, and then click on "Browse Local Files". This opens a window showing the files for your Ark: Survival Evolved client in the Steam application. And in that last folder are all your mods! ta-dah! Inside there are folders for each mod, labelled with the steam workshop ID for each mod. There will also be matching numbered files that end in ".mod". Both the folder and the matching ".mod" file must be uploaded to the server for each mod to work correctly. Upload all the mods copied from the client on your own computer to the server. Copy them to the folder /ShooterGame/Content/Mods on the server. Once you've gone to the LinusServer folder, select the file GameUserSettings.ini by clicking the blue box to the left of the file name in the Nodecraft file manager view. Then click the "edit" button at the top of the file manager window. followed by all the steam worskshop IDS of the mods to be enabled, separated by commas. NOTE: Capitalization is very important in ark settings, the line ActiveMods= must have an uppercase A in active, and M in mods or it will not be processed correctly by the game. Once you are finished, save the changes made to the configuration file, and then restart the ARK server. If everything has been done correctly, your ARK: Survival Evolved server now has mods!